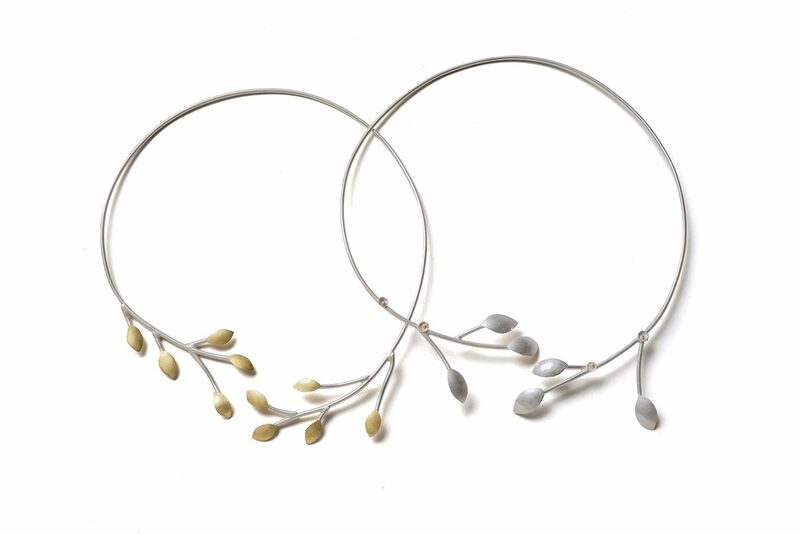 This neckpiece is from my Spring leaf collection, inspired by my garden, watching the emerging leaves appear in spring, adorning the stark branches. 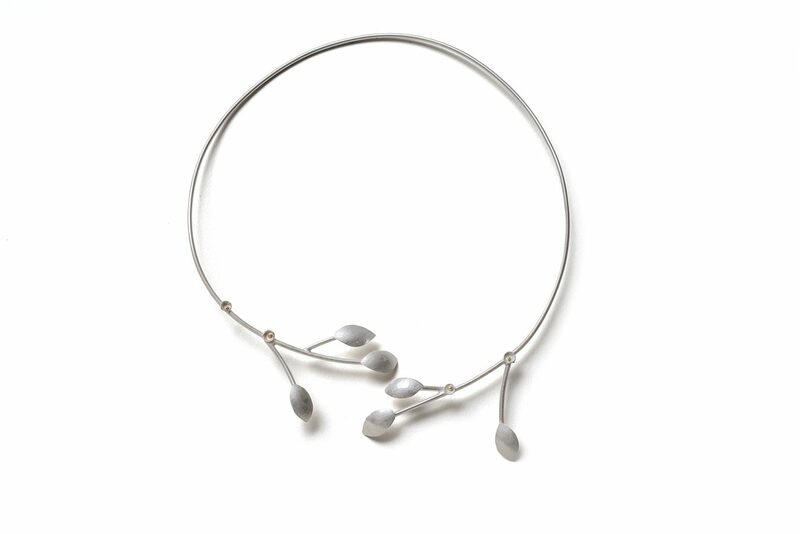 Textured and domed silver leaves, and small silver cups, each holding an 18ct gold bead, set onto wires and assembled into clusters, which sit around the neck. sterling silver and 18ct gold. 250mm diameter.